The CH-1C was the only helicopter built by Cessna. It came about when the CH-1C combined Siebel mechanicals with a new Cessna fuselage and first flew in 1953, receiving its FAA type certificate in 1955. 10 examples were supplied to the US Army for evaluation but in general the aircraft did not achieve any military or civil success. 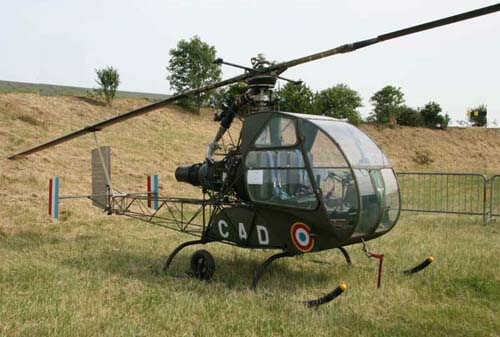 It did create some records and was the first helicopter to be certificated for IFR flight by the FAA. 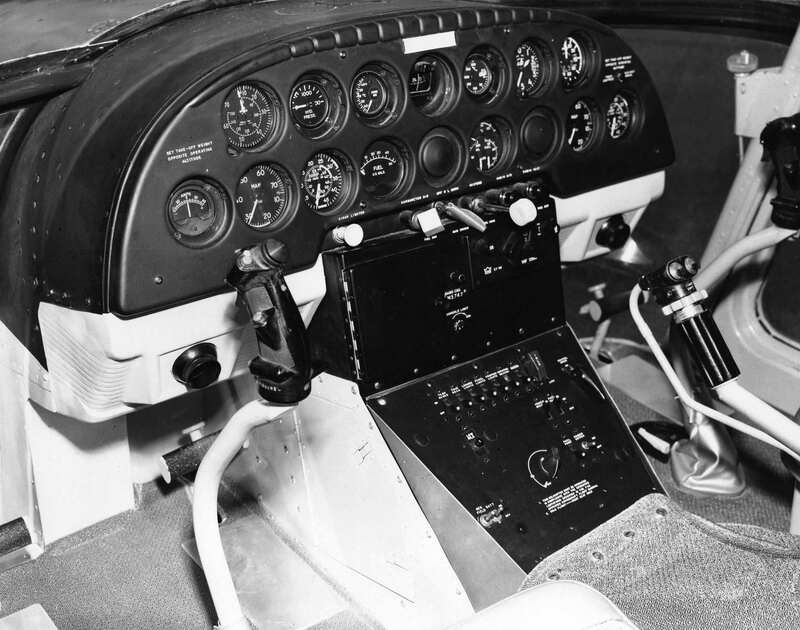 Cessna ended the program in 1962 by buying back all the examples and scrapping them. 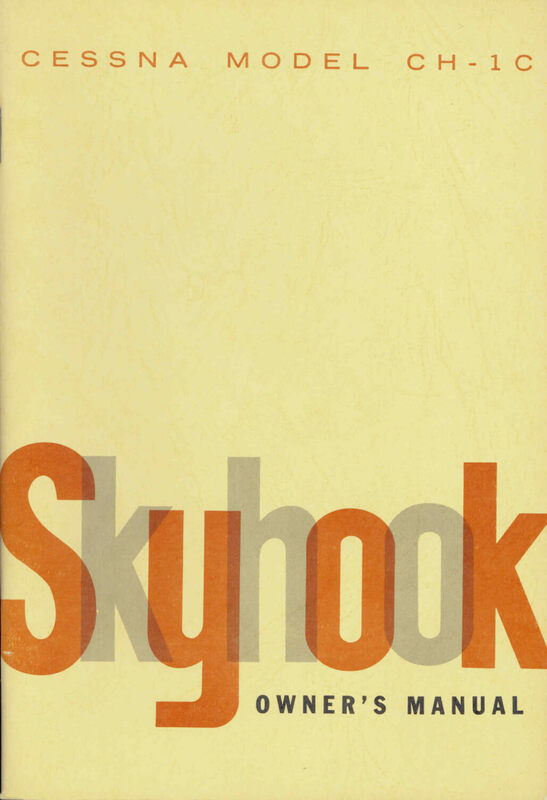 This title contains three flight manuals and one brochure for the Cessna CH-1C Skyhook. The files have been scanned from the original manuals and retain any colour pages. Cessna manufacturer’s Owner’s Manual for the 1962 Cessna CH-1C Skyhook, publication D-120 dated Aug 1961 with approx 62 pages. 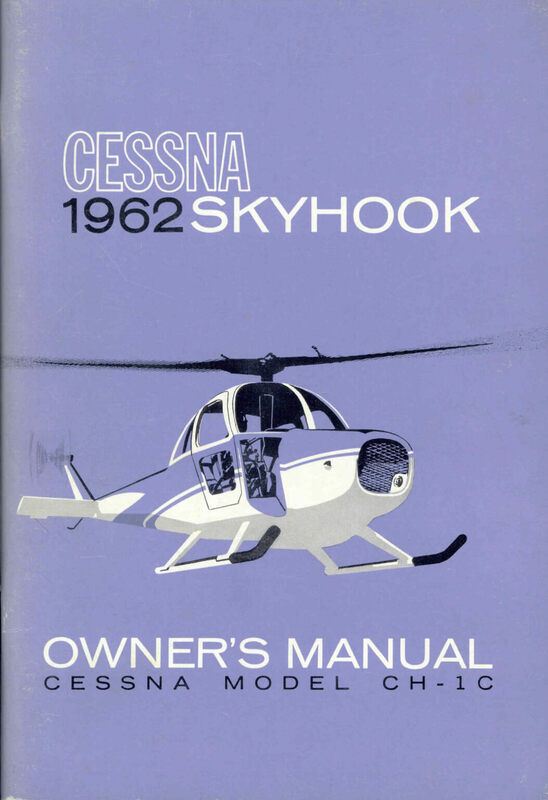 Cessna manufacturer’s Owner’s Manual for the 1963 Cessna CH-1C Skyhook, publication D-120A dated June 1962 with approx 64 pages. 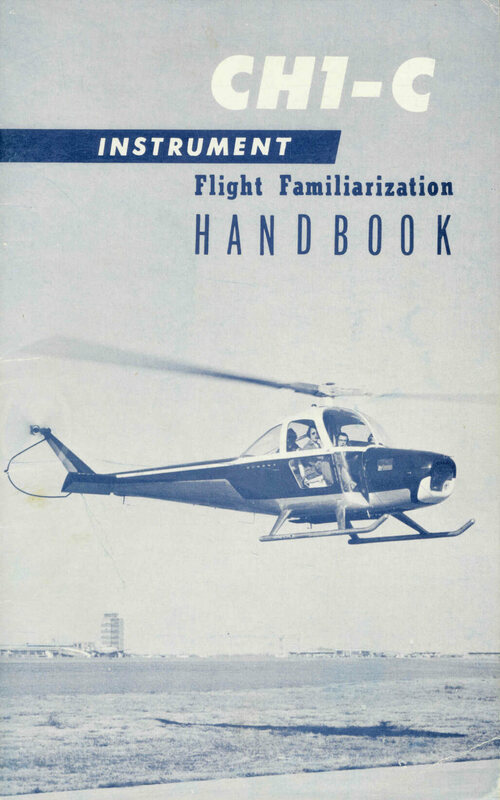 Cessna manufacturer’s Instrument Flight Familiarisation Handbook for the Cessna CH-1C Skyhook, undated with approx 22 pages. 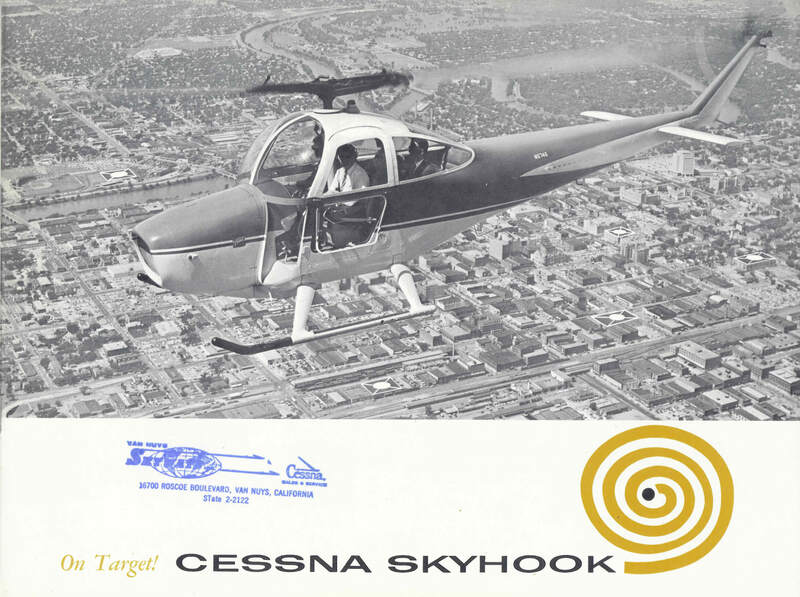 Cessna manufacturer’s brochure for the Cessna CH-1C Skyhook, undated with approx 19 pages with two additional pages of specification.